Nigeria Professional Football League (NPFL) outfits Enyimba, Rivers United and MFM FC were on Wednesday knocked out of the 2017 AITEO Cup. Enyimba-four time winners of the competition- lost 2-1 to ABS FC in Ilorin, just three days after trouncing the same team 3-0 at home in the NPFL. In Lafia, Nasarawa United thrashed a largely inexperienced MFM side 3-0 to advance to the round of 32. The biggest shock of the round came in Port Harcourt where third-tier league side, J. Atete dumped out 4-time champions, Rivers United. The Nationwide League One side won 7-6 on penalties after regulation time ended goalless. NPFL leaders, Plateau United and Sunshine Stars are also through to the next round after respective wins over Wikki Tourists and Mighty Jets away from home. But the match involving Rangers and Kogi United in Lokoja was abandoned after fans invaded the pitch following a decision that went the way of the Flying Antelopes. The round of 32 draws will take hold on Friday, 18th August 2017. 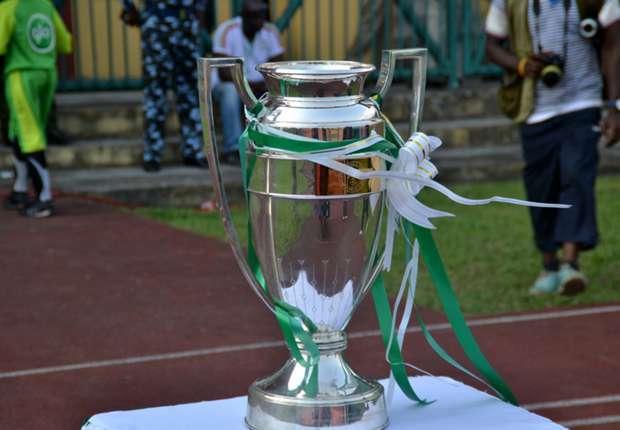 Winners of the competition will pocket N25m and also represent Nigeria in the CAF Confederation Cup next year.